When abnormalities occur with the way the heart pumps or regulates blood flow, serious medical concerns can develop and become more serious if left untreated. At Cardiology Consultants of Southwest Florida, we offer echocardiograms to help accurately assess and diagnose defects or abnormalities in the heart. Contact us today at our location in Fort Myer to schedule a consultation and find out how an examination with sophisticated echocardiogram technology can help our board-certified cardiologists diagnose your cardiovascular health. Also referred to as an echo, an echocardiogram is an ultrasound test that uses high-pitched sound waves through a device known as a transducer. 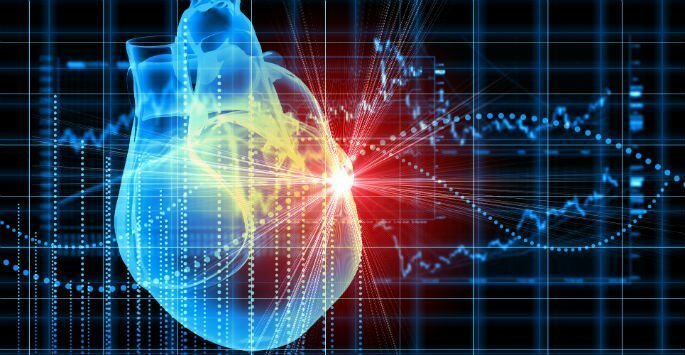 As the sound waves safely and painlessly bounce off of the various parts of your heart, they are picked up by the transducer and converted into moving pictures that are evaluated by our medical team. Echocardiograms come in multiple forms depending on what our medical team is testing for, and they can be used in conjunction with other forms of testing such as stress testing and electrocardiograms. During your echo test, you will be made comfortable in the office and sticky electrode patches will be attached to your chest in strategic positions in order to give our medical team the most accurate images. A special gel may be applied to your skin in order to better interpret the sound waves from the transducer and to eliminate the air between the device and your skin. This is a comfortable, painless procedure, and most patients are able to return to normal activities immediately after testing. The duration of your test may depend on the type of echocardiogram you receive, but this exam is typically not time-consuming and easy to fit into a busy schedule. No anesthetics are necessary as this form of testing is completely non-invasive, resulting in absolutely no downtime after testing is complete. Once our medical team has analyzed your test results, you will be informed of the findings as well as any additional testing that may be necessary. Contact Cardiology Consultants of Southwest Florida today to schedule a consultation and find out how having an echocardiogram done can help ensure proper diagnosis of underlying cardiovascular concerns.